As the world’s largest producer of technical textiles and nonwovens, China’s demand for production machinery is insatiable. 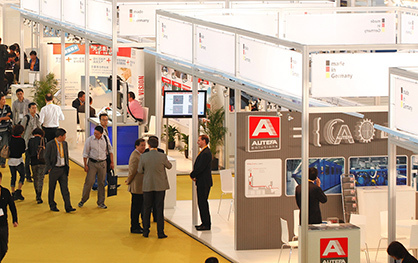 As such, this September’s Cinte Techtextil China has attracted some of the world’s leading machinery brands, particularly in the nonwovens and weaving machinery sectors, ensuring a wide range of sourcing options for both domestic and international buyers. As the Chinese domestic and export markets’ demand for quality technical textiles and nonwovens products continues to increase, overseas machinery brands continue to enter the country, using Cinte Techtextil China as their starting-out platform. ANDRITZ Nonwoven is just one of those who see the growing potential. “Chinese nonwovens manufacturers are increasingly requiring higher capacities and top-class quality for their nonwovens products for local and export markets,” Mr Laurent Jallat explained. “China is the biggest market in terms of installed capacity, and shows quite promising potential for the future. In the past years, we’ve seen rapid growth in products such as disposable face masks.” ANDRITZ responds to this demand with their neXline spunlace eXcelle line which features state-of-the-art TT card web forming and JetlaceEssentiel hydro entanglement units for high capacity and speed. Oerlikon will introduce its spunbond technology to the Chinese market this year, and is expecting to conclude initial contracts at the fair due to increased demand for overseas products. “The Chinese market for nonwovens products is by far the largest and fastest growing national market. Chinese manufacturers are no longer satisfied with lower product quality, but want to exceed Western quality levels, for example. The products must now meet stricter customer requirements and legal standards, some of which are significantly higher than other international standards,” Ms Lena Kachelmaier said. Weaving machine supplier Itema has also noticed strong demand in China for products made in Italy. “Generally speaking, and especially for technical fabrics, imported machinery is highly evaluated and appreciated by Chinese customers. In recent years, Itema experienced significant growth in the sale of its Made-in-Italy weaving machines in China, and in other APAC countries. Imported machines are synonymous with quality and reliability, and we believe this positive trend will be constant in the future,” Mr Matteo De Micheli outlined. ANDRITZ Nonwoven: their specialty is technologies for drylaid, wetlaid, spunbond, spunlace, needlepunch and textile calendering. At Cinte Techtextil, they will highlight their aXcess product portfolio, which has been especially designed for medium-capacity production. 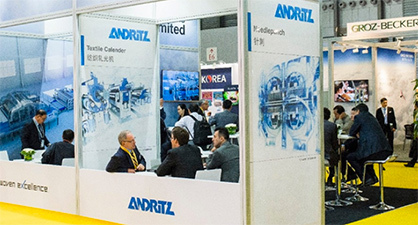 ANDRITZ has developed this range to fit the demands of producers with medium-capacity requirements, particularly in emerging markets. It includes lines and individual machines for needlepunch, spunlace, wetlaid and calendering processes. 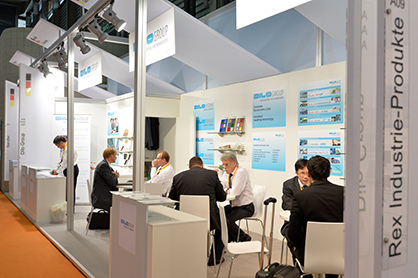 Autefa Solutions: visitors to their booth will experience the company’s expertise as a full line supplier for carded- crosslapped needlepunch lines, aerodynamic web forming technology, spunlace and thermobonding lines. Their nonwovens lines meet customers’ requirements for quality web formation, bonding, active weight regulation and minimal maintenance. DILO Systems: a leader in the field of staple fibre nonwoven production lines, DiloGroup will present their latest developments at the fair, including staple fibre production lines, card feeding and cards and crosslappers & needlelooms. Oerlikon: they will showcase spunbond solution lines for the production of polypropylene geotextiles. According to the company, spunbond geotextile applications are on the rise as the market is increasingly demanding more efficient processes and products, which means the product requirements are often the same or greater, but with a lower raw material input. Spunbonds are progressively replacing classical carded nonwovens due to their technical and commercial benefits. Truetzschler Nonwovens: concentrating on solutions for producing a broad range of hygiene nonwovens including wipes at the fair, they will focus on thermobonding & spunlacing processes and the respective machinery, from fibre preparation down to winding. Itema: making their debut at Cinte Techtextil, they are a leading supplier of weaving machines for technical fabrics production. According to the company, they are the only weaving machine producer to offer technical textile manufacturers the top three technologies for weft insertion: Rapier, Projectile and Airjet. Picanol: they use their leading position as producers of weaving machines for other textile products to expand into machines for woven technical textiles by investing heavily in state-of-the-art technology, as well through the modular design of their machine platforms which allow them to serve different industry sectors effectively. Lindauer Dornier: featuring in the German Pavilion this edition, they offer a number of weaving machine varieties including rapier, air-jet, open reed weave (ORW) and more. Their rapier weaving machines have set the technological standard in the high quality wool textiles market for decades, and this quality will be on display at their booth with the DORNIER P1 rapier weaving machine. In addition to these leading overseas brands, a strong line-up of Chinese machinery producers will also feature at the fair, including Changshu Weicheng Non-Woven Equipment and Shijiazhuang Textile Machinery.